Training updates weeks 1-4 here, weeks 5-7 here. 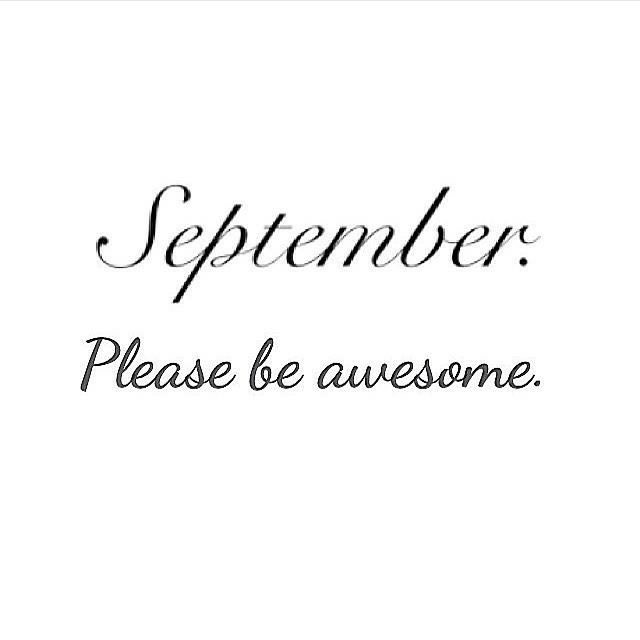 I can’t believe it’s September. As much as I’m sad to see summer go, I’m excited for fall weather and pumpkin spice everything. September also means less than 2 months until the NYC Marathon. My week 8 plan was quite ambitious. Essentially I did all workouts except the 2nd workout for the day. I also didn’t expect to do so much speed and interval work but I did 3 days of it (2 days of MHRC & the Rise). So weird. I can never get myself to wake up early and workout before work and school but I did it! My friend, Sarah, told me about The Rise which is at 6:30am in Grand Army Plaza in Brooklyn and she was going so why not go? 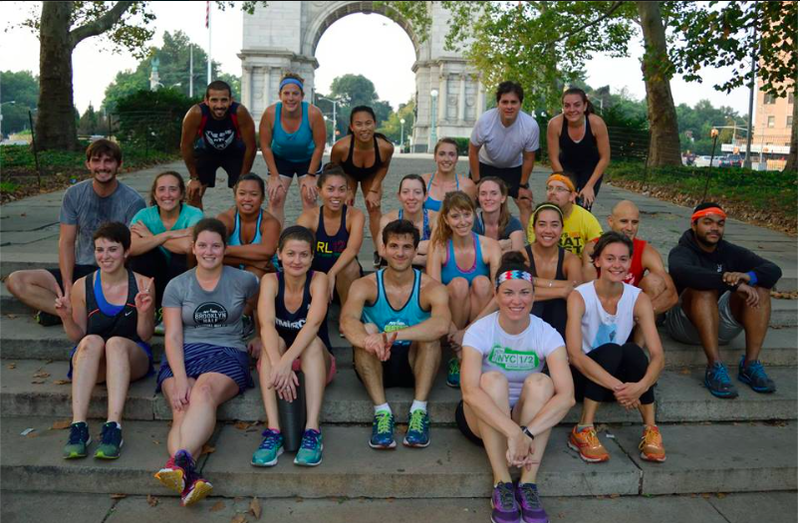 They are 1) awesome 2) free and 3) host a bunch of other free workouts around the city which all have different themes (i.e. circuit, speed, etc.). Ours was circuit except I didn’t expect there to be rounds of sprints in the middle. It’s only 30 minutes so luckily I survived. Although the run back home was brutal (read: legs were staging a protest). I needed yoga but slept through my alarm so I ended up skipping yoga and just doing MHRC after work and property class at 8:30pm (which is a bit late but I got it done). I wanted to skip but my classmate, Gloria, came with me. Still so sore from so many days of interval training. Boxing might be the best workout if you’re in the legal field and/or law school because it’s all about “death, destruction, and disease.” (yes overheard during a lecture last week). I brought my coworker and we got all our anger out ha. My training plan called for 11 miles this week after last week’s 13 but I didn’t do my long run last week so I pushed 13 to this week. I ran with my little sister whose runs a much faster pace so I was not only on track to finish 13 but to do it fast. 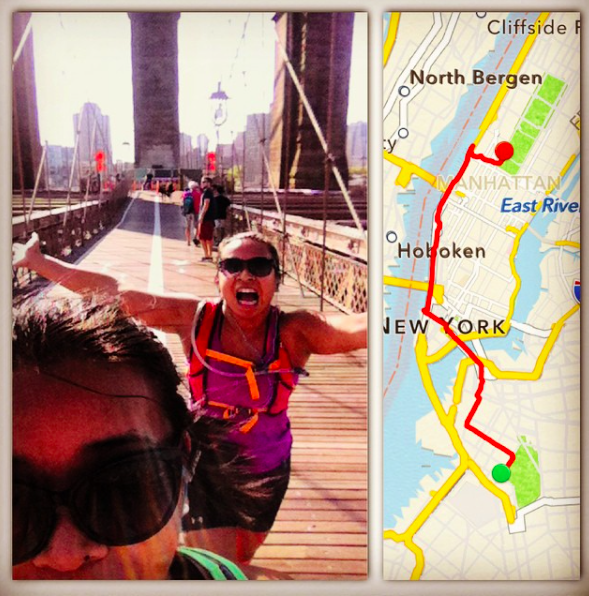 Around mile 8, I could feel my left calf and foot tightening and by mile 10, I was limping. Usually my achilles tendonitis is under control and it really hasn’t been a problem (read: one that forces me to stop running completely) since the Philly Rock n’ Roll Half last year. Regardless, I did the most I could and there was brunch at the end. So there’s that. I also realized I need new shoes and that I have ran a marathon, 3 half-marathons, and a triathlon in my sneakers so maybe its time to go shopping. At Tuesday’s workout, I officially met Sarah’s friend, Angelica, who is a yoga instructor and works for Pop Up Yoga NYC. They were running a labor day special which included SUP yoga and a drink at the Riis Beach Bazaar so the sister and I signed up. They teamed up with A-Team Paddleboarding, the company I went out with for my first SUP yoga experience a few weeks ago. Last time I went out for SUP yoga, we were by the marina and it wasn’t super scenic but it was way calmer (read: easier to do SUP yoga). This time we were right off the beach and it was so beautiful. You could see the Verrazano and the Manhattan skyline including the Freedom Tower. However, the water and wind was a bit rougher which makes doing any yoga pose even harder if you’re trying not to fall in. Although a few people almost did…and actually did. 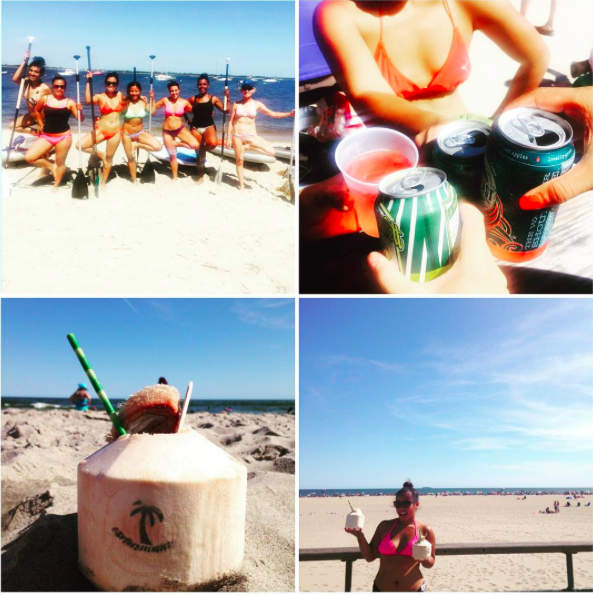 After we took some pics and brought the boards back, we headed to Jacob Riis Beach Bazaar where we got drinks and the sister and I kept hydrating with coconuts. We spent the rest of the afternoon on the beach and headed down to Beach 98th street for lobster rolls and live bands for dinner. 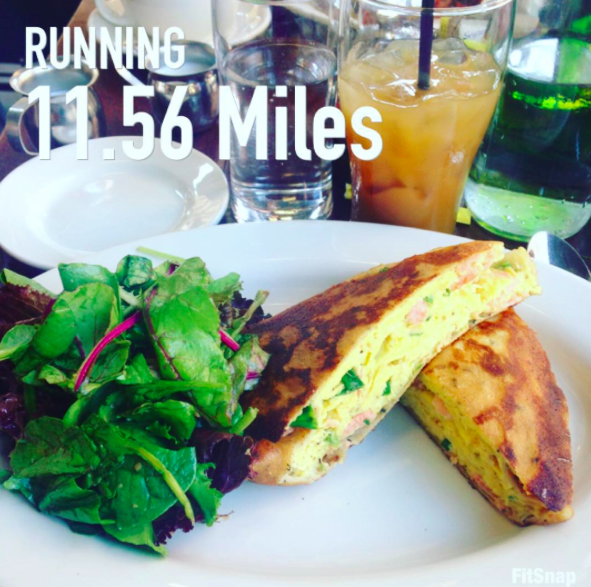 How was your week of marathon training or running?